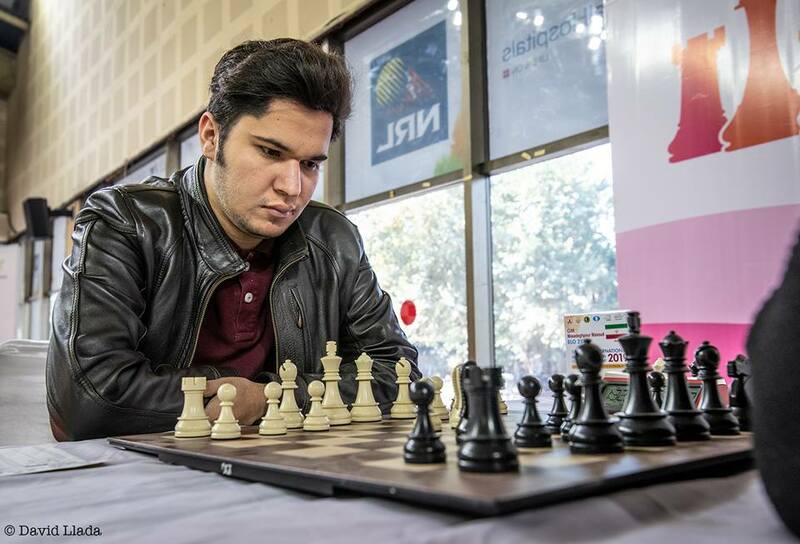 New Delhi: Twenty-two years old Iranian Grandmaster Mosadeghpour Masoud pulled ahead of the field with a finely crafted victory over Tran Tuan Minh of Vietnam in the eighth round of 17th Delhi International Grandmasters Tournament underway here on Monday. Playing with white pieces in Sicilian Najdorf Bg5 variation which lasted 33 moves, Masoud, rated 2517 got better of Grandmaster Tran Tuan Minh, rated 2541. Tran obtained a small advantage after making exchange sacrifice of his rook for knight on the 23rd move. Later he landed in a piece-down position, prompting him to resign. With his sixth victory in eight games, Masoud took his tally to a whopping 7 points out of a possible eight and emerged as sole leader with a half-point lead over nearest rivals. Just two rounds are remaining in this Rs. 35 Lakhs prize money tournament. Among other important games of the day, Indian Grandmasters Debashis Das and Diptayan Ghosh played out a quick draw to inch up to 6.5 points while Grandmasters Erigaisi Arjun and Stupak Kirill signed peace treaty after a tense struggle to also reach 6.5 points. Seven players are closely trailing behind the leader. Category ‘C’ tournament which boasts participation of more than 1500 players came to the half-way stage with 56 players scoring 4 points out of 4 rounds. Six more rounds are remaining in this 33 lakhs prize money event. Total prize of the 17th Delhi International Grandmasters Tournament is One Crore One Lakh Rupees.